If you don’t want to take a ride over to Chinatown, finding great Chinese food in Chicago can be a slog. As much as our city has to offer on almost every culinary front, the quality of our Cantonese or Szechuan could afford to expand, especially in the cheap-takeout department. But as this is still a big, diverse city, it would be impossible for us to not have some great stuff outside of the Near South Side, and sure enough, if you know where to look, you’ll find a few Chinese spots in a variety of styles -- from modern fusions to old-style Americanized dives -- to keep even the most dedicated devotees happy. 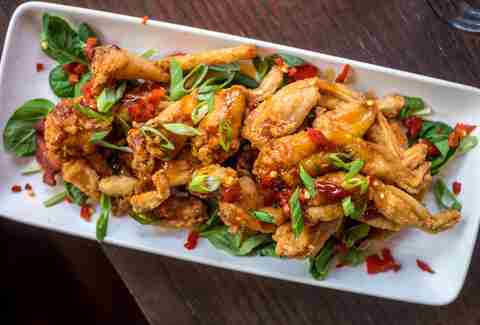 While many of the dishes at Fat Rice may not be familiar to fans of classic Chinese-American takeout joints, they are still Chinese through and through. 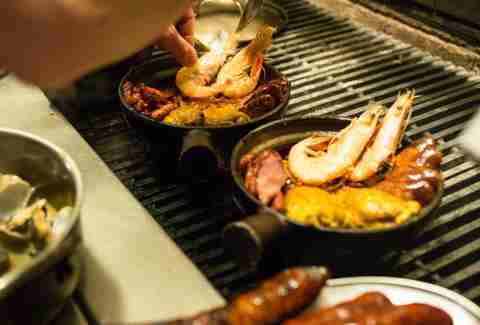 Fat Rice is firing up the food of former Portuguese colony Macau, which gives the restaurant it’s fusion style, particularly evident in the paella-style arroz gordo, where chorizo, seafood, duck, and egg make sweet love in a bed of rice (but heads up, it’s a communal dish meant for two or more people). There are potstickers and noodles for those who want more familiar fare, but none of it is lacking in flavor or inspiration. 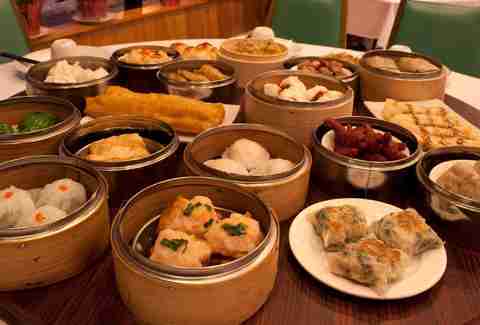 Don’t think you need to hike down to Chinatown for great dim sum. Furama has an outlandishly large menu of steamed, fried, and stewed delights for you to choose from. Filling Uptown’s craving for meat and veggies stuffed in buns since 1985, Furama is overflowing with little carts carrying everything your Chinese-loving hearts desire. The shrimp-peanut and barbecue pork are standouts, but don’t be afraid to stray away from the known and sample the Taro puffs or custards. No one thing will make much of a dent in your wallet, so try it all at least once. A throwback family-owned Chinese spot of the highest order, Shanghai Inn is the type of place that is so simple, and yet so good, it makes you angry there aren’t places like this all over Chicago. Family-owned for multiple generations, it has a homey feel, and everything you could ever want from your local Chinese restaurant. Sweet and sour chicken? Tangy and delicious. Egg foo young? Great sauce, not too greasy. The egg rolls are crispy, the portions are big (like three meals big), the prices are borderline crazy. What’s not to love? Sun Wah doesn’t hide what it does best with an enticing (unless you’re a vegetarian) line of ducks hanging in the window just waiting to be roasted. Sun Wah is Chinese barbecue, and the duck is the star; order it ahead of time when you make your reservation and be treated to a multicourse dinner of soup, carved bird, and fried rice, with plenty to go around for a group, and at smile-inducing prices. 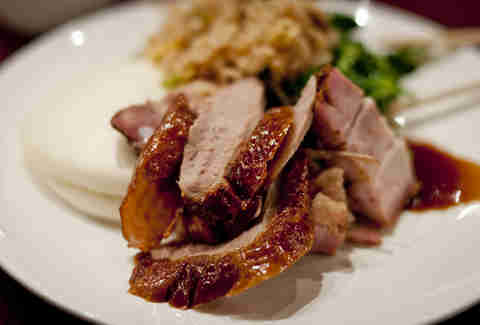 Once you’ve gotten the duck out of the way, carry yourself back to the sparsely decorated but charmingly simple dining room and order the juicy roast pork or any number of the Chinese favorites; repeat as necessary. Opened in 1998, Lao Sze Chuan has become a Chicago institution with locations in Uptown and Michigan Ave as well as several suburban outposts. Don’t let the rapid growth fool you; LSC hasn't lost a step. 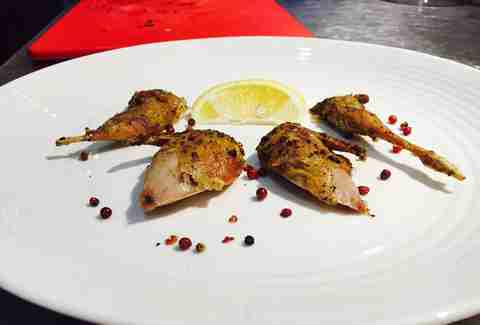 Instead, it has drawn raves, including from the Michelin guide, and for a reason. Plenty of Chinese restaurants boast big menus, but Lao Sze Chuan’s is truly expansive, with hundreds of options to choose from. That might sound intimidating, but the names are familiar enough that you should have a good idea what you are getting, and it’s hard to find a bad choice in the whole place, so make your best guess and dig in. As you wade through the sea of mediocre Chinese offerings in Chicago, it really makes you appreciate when a place can just deliver the goods, no questions asked. 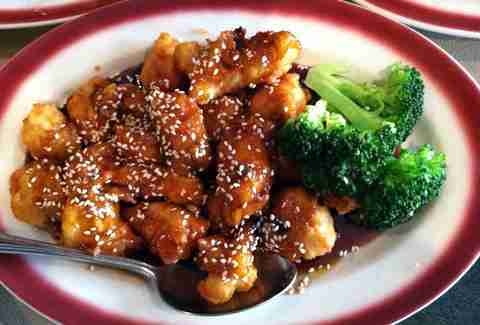 Anyone who has gotten too many bland limp orders of General Tso’s chicken will light up when they open up their order from House of Wah Sun: fresh, high-quality chicken in sauce that is perfectly spicy and packed with flavor. 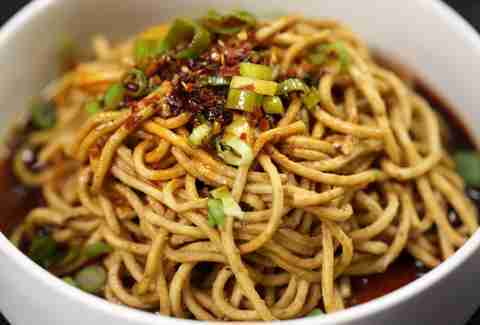 The thick hearty noodles are heaven for lo mein junkies. And the small army of takeout and delivery regulars will attest to the ample portions. 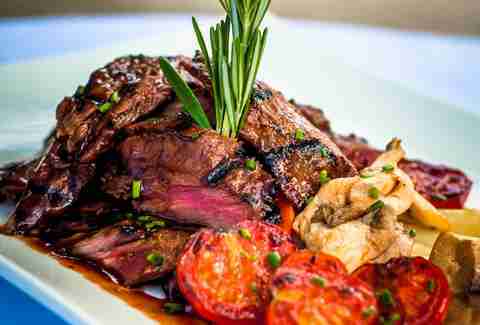 They do not skimp on the meat, as well as the quality of the service, in-house or out. Yes, yes, sushi isn’t Chinese. Neither is kalbi or teriyaki. But this is America, and if a Chinese restaurant wants to have sushi and kalbi, and it’s good, who are you to stop them? Besides that mix, follow’s owner Dee Kang’s journey from a Chinese-Korean family to Japan and then Chicago. Dee’s is no secret to Lincoln Park locals, who have kept the place open since 1983. The service is affectionate, the decor is quiet and charming, and the Mongolian beef will be a lasting takeaway. A name like Yummy Yummy should be catnip to any aficionado of cheap old-school Chinese takeout. Nonsensical phrases are often the first sign that you’ve found a jewel in the rough, and Yummy Yummy shines in an area of the city where great Chinese is sorely lacking otherwise. Don’t plan on eating in unless you can grab one of the five or so tables in the cramped “dining room,” but that should not stop you because all your childhood favorites (assuming you grew up eating Chinese takeout like some of us) are here, and few places do them better. Across the board, the clear difference is the quality of ingredients: big chunks of white chicken meat; fresh crispy vegetables, not too greasy or soggy. It’s nothing flashy, nothing new, just classics done right. 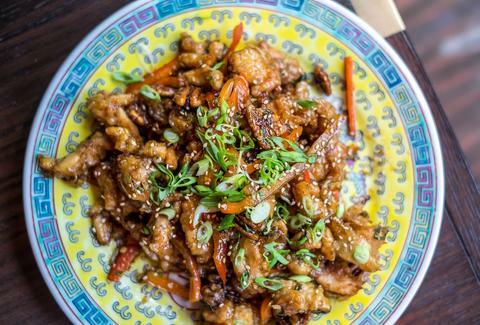 A long-standing Logan Square chop suey house, Friendship has undergone a wonderful renovation into a worthwhile place to sit and linger instead of grabbing takeout. Friendship’s menu has plenty of familiar terms like “Sesame” and “Kung Pao,” but the food is cooked with a care not usually associated with those cheap paper box staples. Beyond what's predictably good are things like the Barbarian seared steak, chive flower pork belly, and bird’s nest of seafood and shredded potato. Chinese is perched curiously atop the list of cuisines that seem to resist the high-end treatment. Maybe it’s the long association with greasy delivery dishes and Chinatown dives, who knows, but it’s a shame, because the bevy of flavors seem like they would be perfect in the hands of a sophisticated chef. At least Chicago has Shanghai Terrace, which sports a luxurious atmosphere atop the Peninsula Hotel with a sublime view of city. The menu is small, with what you might call “elevated” takes on Peking duck and kung pao chicken, but you’ve never had Peking duck melt in your mouth like this. The true, and unexpected, stars may be the cocktails, which complete a pretty perfect dining experience. Sitting just a few blocks west of the Kimball Brown Line stop is a true neighborhood gem, worth the trip to the end of the line and a favorite for anyone within walking distance. Peking Mandarin is Korean-style Chinese, a fusion of Korean ingredients with Chinese dishes that is popular fare in Korea. Regulars come from all over Chicago seeking out spicy seafood noodles and sweet & sour pork, which amounts to comfort food for many Korean immigrants and anyone else who gets to taste it. If that’s not your style, go another direction with the lollipop chicken wings, crispy, fatty, and covered in a sticky, spicy sauce. Instead of hopping off at Chinatown, wait one stop further and you’ll find yourself at Han 202 in Bridgeport for a more unique dinner experience. The menu is a four-course prix fixe ($35) of modern, beautiful evolutions of traditional Chinese dishes, which is a great deal considering the quality of what you are getting. Feast on crispy quail, rack of lamb, or rib-eye steak in a spicy miso sauce. Han 202 is the kind of place that challenges your expectations for what to expect from Chinese dining without straying too far from what makes it great in the first place. And don’t worry about your bottle of wine driving up the price, because the restaurant is BYOB. Matt Spina is a writer living in Chicago who’s death row meal would be beef lo mein and kung pao chicken. Follow him @MR_spina.